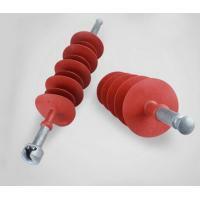 1, 110kV (132kV) composite polymer insulator are designed to suit to 110kV (132kV) transmission line s and 110kV (132kV) substations . 2, Dead end fittings are up to the requirements from the clients, usually we use ball, socket, tongue, clevis for suspension insulators with forged steel or cast steel . The dimensions and coupling size can be exactly according to the specification requirements from the utilities. 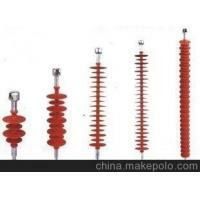 3, The silicon rubber color of the insulators are also up to the requirements from the clients and all the silicon rubber materials past 5000 hours aging test silicon content test and hydrophobicity test. 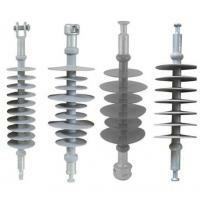 4, ECR core rods are used in all the insulators, so we can guarantee a very good mechanical strength and anti-acid pollution performance for the insulators. 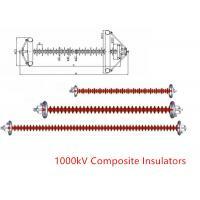 5, All our insulators were type tested and design tested in accordance with IEC61109, maximum RIV is 100µV when tested at 1MHz and10% over nominal line ground voltage for indicated system voltage. 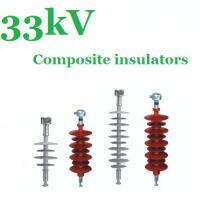 6, All the 110kV (132kV) composite high tension insulators are designed with one corona ring. 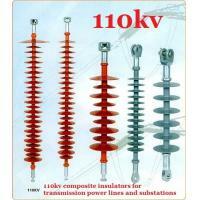 1, 110kV (132kV) overhead transmission power lines. 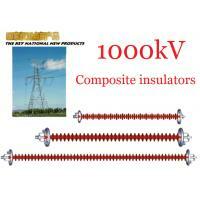 1, Very good anti-pollution performance, no need to wash the insulators after the installation in lines. 2, Very convenient installation because of its light weight and one whole piece compared with glass insulators and ceramic insulators. 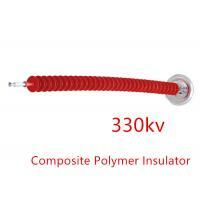 3, Excellent hydrophobicity characteristics can help to void flashover and guarantee the insulators with very good electric performance. Safety Are easy to explosion and breakages due to high fragile properties and stone throwing or gun shooting Provide very high level of safety superior flexibility and strength. not easy to break due to stone throwing or gun shooting.